As we approach the end of 2018 and before the man in the red coat comes down our chimneys, we have reflected on a superb 2018 here at HCS. We said hello to 3 new staff members – Alexandra Hinton (Admin and Business Development), Richard Palmer (Building Surveyor) and Natasha Howe MRICS (Associate Director). We celebrated great achievements! Our Daniel Bailey MRICS achieved chartered status and MD Christian Howe was featured in the News on the Block HOT 100!! 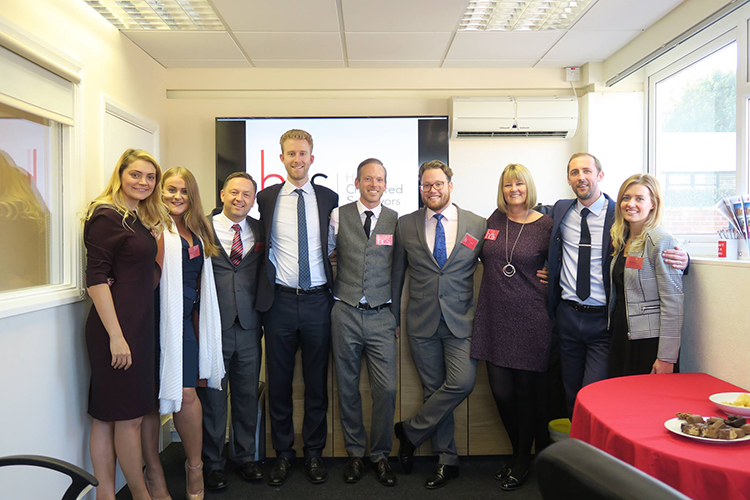 To top it off, HCS won the award for ‘Growing business of the Year’ in the Brentwood Business Awards – a fantastic achievement for our hardworking team! We gained new followers through our social media links on LinkedIn, Twitter, Facebook and Instagram, and shared over 250 articles! These included blogs by our own team members and many photographs of our adventures through the HCS Cycle Club! Our MD Christian even made his debut on local radio Phoenix FM talking about the growth of the firm and the Brentwood Business Awards. The HCS Cycle Club gained new members for the peloton and peddled over 2,000 miles through the sun, wind and rain on Sunday mornings, with a shiny new cycle kit in our classic red, white and black colours. We told our tales of how we answer ‘so, what is a building surveyor?’ and hosted networking events – meeting and greeting new and old connections – and attended an assortment of exciting networking events! To close the year off at the Shenfield Christmas Fayre and with the help of Theo the Bear, we helped to raise money for SNAP charity and St Francis Hospice. A festive affair with the HCS elves and local community. So in summary, it’s been a wonderful year and we thank you for your continued support. We look forward to what 2019 has to bring – more properties to inspect, more surveys to carry out, more people we hope to meet and many more roads to peddle!